The Church of Jesus Christ of Latter-day Saints publishes editions of the Bible in English and Spanish. 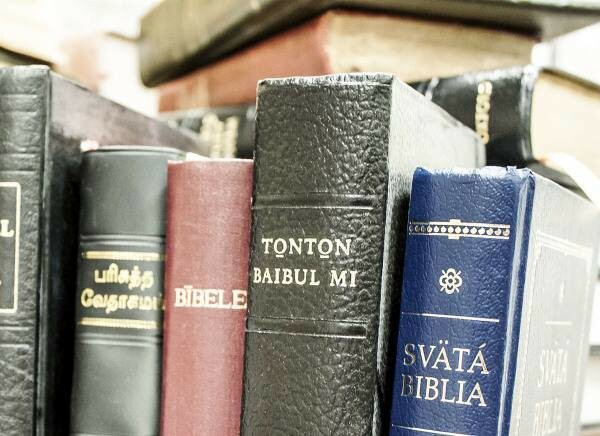 In many other non-English languages, the Church has identified a preferred non–Latter-day Saint edition of the Bible for use in Church meetings and classes. The Church publishes an English-language edition of the King James Version of the Holy Bible. It includes LDS footnotes and chapter headings, a Topical Guide, Bible Dictionary, Bible Chronology, Harmony of the Gospels, Bible Maps, Bible Photographs, Guide to the Scriptures, and selections from the Joseph Smith Translation. The latest edition was updated in 2013 and is available in various printed, electronic, and audio formats. In 2009, the LDS Church published a Spanish-language edition of the Bible entitled Santa Biblia: Reina-Valera 2009. The text is based on the 1909 version of the Reina-Valera translation, with modernized grammar and vocabulary. It includes LDS footnotes and chapter headings, as well as a Guide to the Scriptures and selections from the Joseph Smith Translation. It is available in various printed, electronic, and audio formats. Below is a list of preferred translations of the Holy Bible for use in Church meetings and classes. These are not published by the Church. This is the official list provided from Church headquarters to Area Presidencies. Later this year, the list will be published at scriptures.lds.org.